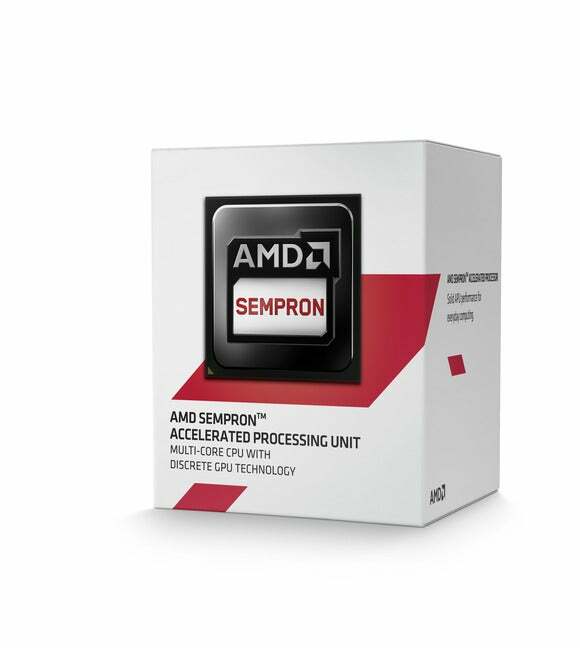 AMD is repackaging its existing chips, from FX to Sempron, for mid-to low-end PCs. An AMD Athlon or Sempron chip may not drum as much excitement as Ryzen, but loyalty has helped those brands stick around for more than a decade. So what happens to those and other PC processors, like the A-series and FX, when AMD's new Ryzen chips start flooding the market in March? AMD has said the first high-end desktop Ryzen chips will ship in March. For now, AMD plans to make no changes to its lineup of existing chips, a company spokesman said. Instead, the chips will be regrouped to focus on price-sensitive PC buyers. Ryzen-based PCs are expected to be priced at a premium, competing with Intel's top gaming CPUs. The FX chips will not go away once Ryzen arrives, and will be targeted toward budget gamers. The A-series chips -- which were targeted toward a wide range of laptops -- will be much like Intel's Core i3, i5 and Celeron and Pentium processors, which are also targeted at low-end to mid-range laptops and Chromebooks. Unified AM4 socket compatibility helps maintain existing chips and has provided an easy path to Zen-based PC chip upgrade, the spokesman said. For example, the AM4 socket supports Zen chips and the recent 7th Generation A-series chips. Expanding the PC chip lineup will help AMD compete with Intel, from the high-end to low end. AMD is already gaining in the PC market. AMD took x86 chip market share from Intel in 2016. AMD had a 13.6 percent market share in 2016, growing from a 12.7 percent share in 2015. Intel's share was 86.3 percent in 2016, dropping from 87.1 percent in 2015, according to Mercury Research. Strong laptop chip shipments in the second half of 2016 and an inventory purge in 2015 helped AMD grow its market share, said Dean McCarron, principal analyst at Mercury Research. The most vulnerable AMD chips are Athlon and Sempron, which sit on the bottom rung of the company's chip lineup. Some brands like Phenom have died, but Athlon and Sempron have shown amazing staying power thanks to brand loyalty from home PC builders in Asia, McCarron said. Those chips will be hard to discontinue overnight, McCarron said. "Intel dealt with that in Asia on Pentium. Once it is established, they can't go away," McCarron said. Chips like the Athlon X4 and FX-4300 -- which is cheap to manufacture -- will keep serving customers' needs and will stay in production for some time to come, McCarron said. Also, PC makers need low-end products to segment markets and maintain prices. The price of high-end FX chips helps set a minimum price for Ryzen chips. It also helps retain Ryzen as a high-margin product, which is important for AMD in its pursuit of higher profitability. The low-end chips will also help keep AMD's chip volume active and meet supply agreements. AMD has an agreement with GlobalFoundries to manufacture a certain number of chips each year. Low-end chips are also important to manufacturing. They help amortize manufacturing costs and provide a market for chips with minor defects. It's fairly common for chips to get defects during manufacturing, and those are repackaged into low-end parts. That helps reduce inventory and produces revenue from those chips. AMD can't say it is getting rid of older chips because that would damage partnerships with PC makers and OEMs, said Jim McGregor, principal analyst at Tirias Research. "They can't displace the entire product portfolio over night," McGregor said. But at some point, AMD will have to figure out which ones to chuck. It's likely the chips that are more expensive to manufacture will get the boot. Some chips like high-end FX parts could get the boot as Ryzen chips expand into lower-end gaming PCs. A decision to drop expensive chips and retain cheaper ones would be a cost-saving measure to reduce the manufacturing overhead. "You'll see the transition over the next nine to 12 months to move everything over," McGregor said. AMD has also released Zen-based server chips to succeed the current Opteron server chips. The company has seemingly put the development of ARM-based server chips on hold, and few server makers are using Opteron chips now. AMD will continue making embedded chips, which are used in devices with life spans of up to 10 years.